Bibliophile. Art Lover. Husband. Native Texan. Keeper of 2 dogs. 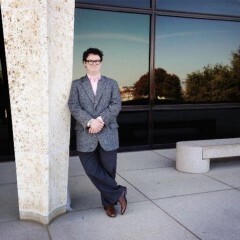 Director of Special Collections & Archives, Southwestern University. What defines a librarian working in the field of special collections? Sarah Werner: How to Destroy Special Collections with Social Media. Morgan Holzer: The 10 Best Book-Related Instagram Accounts.